Mary Jo Valentine, 85, Key Largo, Fla., formerly of Pierceton, passed away at 7:05 a.m., Saturday, Feb. 9, 2019, in her residence. She was born on June 8, 1933, to Henry and Beulah (Osborne) Ratliff in Lauratown, Ark. She graduated from Sloan-Hendrix High School in Imboden, Ark. She was united in marriage on Jan. 5, 1952, to Richard L. Valentine in the North Winona Church of the Brethren, Warsaw. 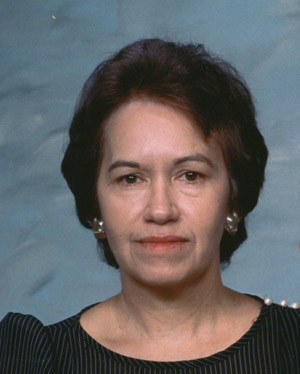 She was a Pierceton resident for most of her life, but spent the past 30 years in Key Largo, Fla.
She is survived by her children: David (Cathleen) Valentine of Ben Lomond, Calif.; Michelle Valentine of Warsaw; Melissa (Mike Morelly) McKelvey of Miami, Fla.; and Alex Valentine of Pierceton; a sister, Julia Smith of Fortville; grandchildren, Julie (Zach) Winsett, Jeremy and Alexa McKelvey, Justin Rees and Jerrod Turpen; great grandchildren, Aliyah, Roman, and Waylon Turpen, Sadie and Sawyer Winsett and Braxton McKelvey. She is preceded by her parents a son Jay Valentine, her husband Richard Valentine (2003) and two brothers, James and Jack Ratliff. Visitation will be held from 4-8 p.m., Wednesday, Feb. 13, at McHatton-Sadler Funeral Chapel, Pierceton. A funeral service will be held on Thursday February 14, 2019 (Valentine’s Day) at 10:00 a.m. at the Funeral Chapel, Pierceton. Pastor Jamy Gregory will officiate the services. Interment will be in Hillcrest Cemetery, Pierceton.